Not Catholic but you have proven to misunderstand his comments. Satan believed Christ would be defeated at the cross. Humans look at a man claiming to be Messiah dying a horrible death to be a failure. But it was at the cross that Satan and sin were defeated. So the wisdom of man is foolishness to God. His remarks about Christians and Muslims worshipping the same God is much more troubling. That isn’t what God or Christ said. Jesus came to make the Law honorable for even the Gentiles – Isiah 42. And this goes with his teachings in the Sermon on the mount, to not even think he came to loosen the least of the Commandments of God. Did Jesus teach the truth of God – that is the question. I am not catholic, and I don’t agree with the pope on a lot of things, but you are deliberately misrepresenting him in this instance. He did say that the cross was not the end and he did point to the resurrection. What the Pope is saying about our Heavenly Father is nothing short of blasphemy. To take our sins upon Himself and die on the cross as the Great Sacrificial Lamb of God is the total reason why Christ Jesus came to Earth. Jesus clearly stated that the only way to The Father is through Him. I look at articles like this and just shake my head at the hypocrisy; as you righteously judge the error of the Catholic Pope while you propagate it in a lesser matter what you accuse; but eventually you all will grow in together in the ungodliness, it just comes from holding false bibles. I look at your list of categories and not even a mention of the biggest issues and challenge the Church faces, the bible issue. I noticed by your scripture’s that you are using the Protestant Catholic *(RSV) verse of the bible, shame on you and may you find repentance before your judgment. Yes, I am King James Only and just preaching the gospel to you, hope you heed. I would not be so high and mighty in my assumption of the KJV as God’s only word because it’s not the only bible to read. What about the Geneva bible the Coverdale and Wycliff versions all of which evolved into the KJV. Wake up and do some thorough and honest research of the KJV and where and how it came to be, and the errors that are in it. And I hope you do not claim your salvation because you read the KJV only! And if so what do you tell Paul, John, Peter or all the first century believers and others all the way up to 1611? That they’re not saved because they don’t have the KJV? Again wake up and do the research of the KJV and you’ll find the KJV its history and all that was used to finally come up withe Authorized version. Where you aware that earlier versions of the KJV had the apocrapha included in it? Although, I use the KJV with others NKJV, the LXX, the Geneva, the NASB, RSV and sometimes the NIV, the Greek Septuigant LXX which I also read and study with? Yes there are some false bibles out there which should be avoided. But, don’t claim KJV only and think you’ve got it down pat. The Pharisees and Sadducees believed they had the law down pat, and look what surprises Jesus had for them. Remember the heart of God’s law is love mercy and HIS truth, not ours! PERIOD!! Yes, some Catholics question this Pope’s “theology. ” See Ann Barnhardt who is an old school, pre Vatican II Catholic who believes this Pope is evil. I hope everyone who knows their bible –knows who this Pope is. YOu know the prophecies he is not who he professes. Be informed and get informed, find the answers you seek. The cross was God’s will, and God’s will is perfect. How can perfection fail? That’s like saying you are somehow more wiser than God, isn’t it? I do not hold any sort of religious status, I just read the Bible and try to follow how it says to live and try to love God. God’s ways are much higher than mine and I don’t think I would ever claim to be capable of even fathoming all of God’s ways. None-the-less, God is righteous and the cross was instrumental in displaying His righteousness. Just my thoughts. We should take God’s Word at face value, as we read it direct from the Bible. Men’s attempt at some kind of worldly wisdom never tells the real truth about much anyway. Only God and His Word of truth really means anything. Jesus was put on a Gentile Roman Cross, by Jewish Pharisees. The Roman government failed Jesus by not defending an innocent man, and false religion failed Jesus by not believing the truth about Him, given by God, His Father, which was originally given to the Jewish people. As a result of this, the cross was a success, used by God to pay for the sins of the whole world, through mans sinful actions. The resurrection had to happen after that, because He, Jesus, is God. “Whosoever believes in Him will not perish, but will have eternal life”. John 3:16 That is why God so loves the world that He gave His only begotten Son. The cross is without doubt no accident, and definitely no mistake, once one comprehends God’s providential plan, and that He is always mindful of His faithful — Christ’s death was on behalf of His faithful ones. It was made repeatedly clear that He came to die — He had to die. This world killed Him. He was not living for the same reasons that common man lives. Yet, it is no accident, and typical irony that Catholicism, one of the world’s largest institutions would be so exegetically off the mark. They have literally written their own theology. What a thought, as he does not seem to understand that when mentioning the “cross” it is referring to three things; “death, burial and resurrection”, a package deal! Paul said; “If in this life only we have hope in Christ, we are of all men most miserable. 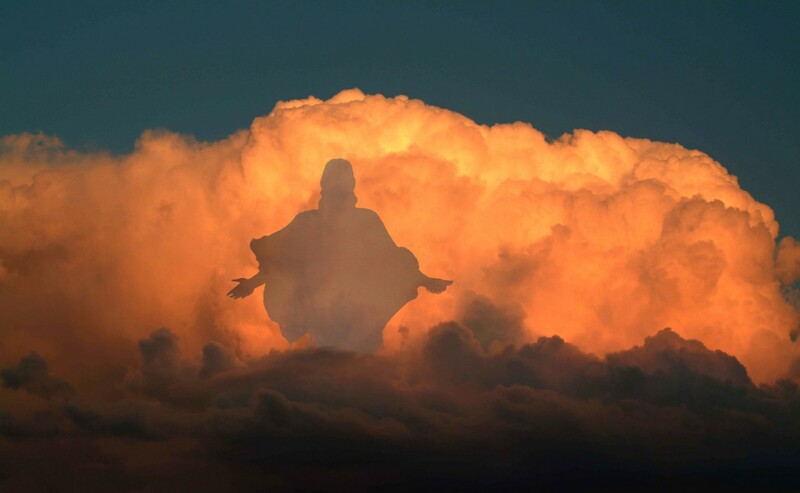 But now is Christ risen from the dead, and become the firstfruits of them that slept.” 1 Corinthians 15:19,20. Basically saying, if there was no death, there could be no resurrection from this death. But since Christ both died and was resurrected, we have this hope! But can’t have one without the other, and he should know this basic truth!